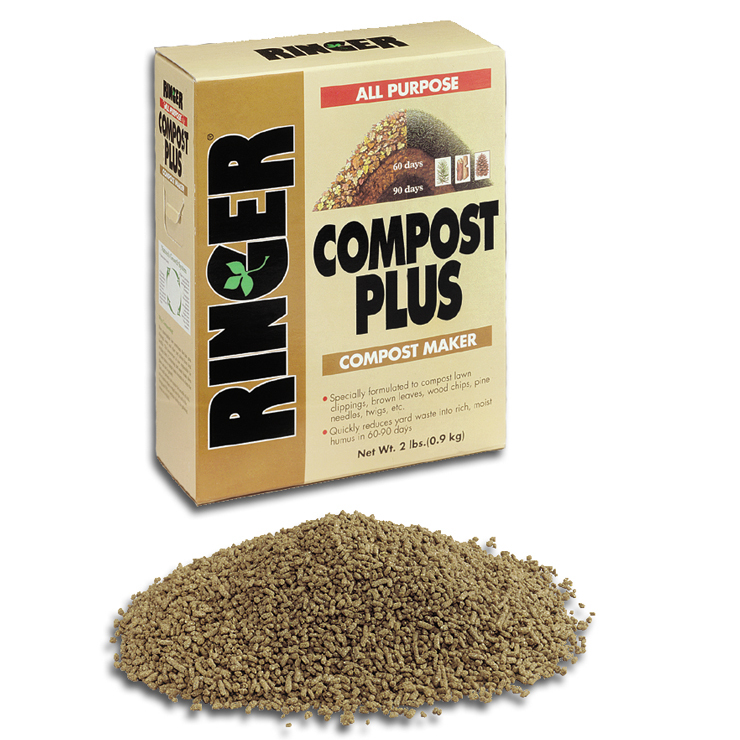 Ringer® Compost Plus contains all the necessary organisms and nutrient sources to start the compost process more quickly and efficiently. Specially formulated to compost lawn clippings, brown leaves, wood chips, pine needles, twigs, etc. Compost Plus contains a proprietary blend of micro-organisms which break down materials. It's a nutrient energy source for a fast start, and is specially formulated to speed up the natural decomposition process for fast, complete composting. 2 lb. box.